roof cleaning Lake Geneva Wisconsin. Cedar roof Restoration, lake Geneva, Wisconsin. Cedar roof preservation, Greenbay Wisconsin. Free gutter cleaning with any roof cleaning. Tile and grout Restoration. This is a indoor pool and the tile and grout was horrible. Just twenty years of build up on it. We used our reclaim technology to clean the tile and keep all the water retained. 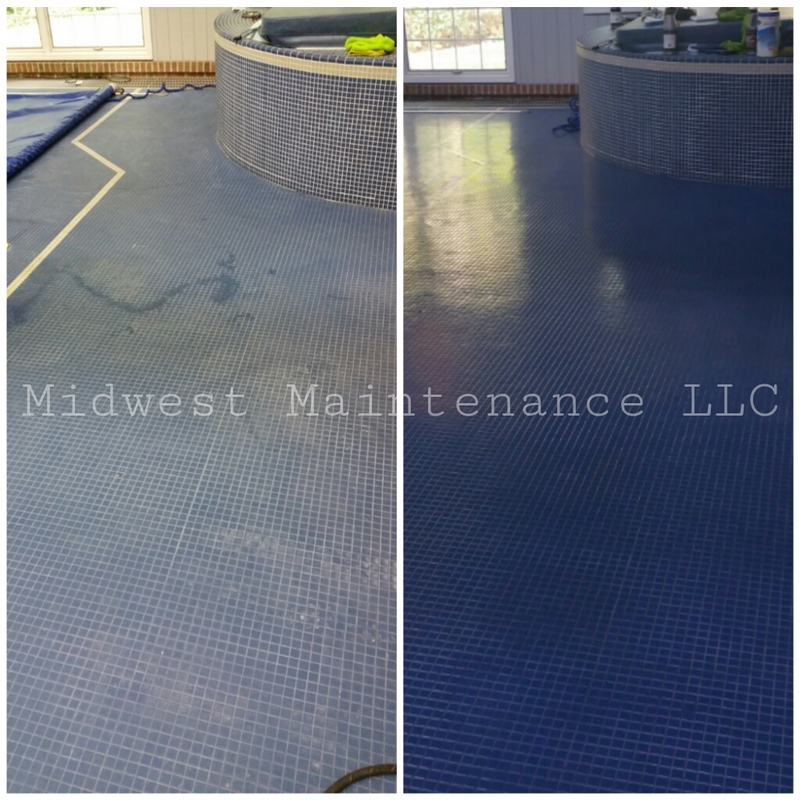 This was a major turn around, the homeowner was beyond happy with the results. He hired a company to clean the tiles prior to our service. Previous Previous post: Graffiti Removal , Milwaukee WI.